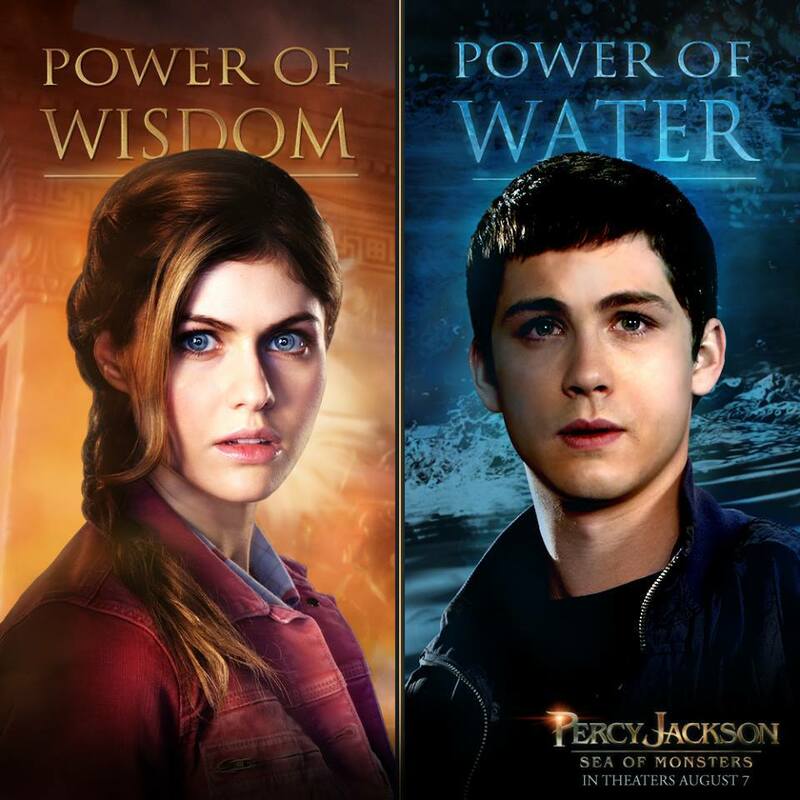 The dynamic duo of Percy Jackson and Annabeth Chase, played by Logan Lerman and Alexandra Daddario, has been rocking the demigod scene since they first worked together and in Percy Jackson: Sea of Monters, the upcoming and much anticipated sequel of Percy Jackson: The Lightning Thief, they will once again prove how effective they are as a team. The movie had it right in the following lines about Percabeth: "Percy and Annabeth combine to make an epic team, the likes of which Mt. Olympus has rarely seen. Together they defeated the Lightning Thief and returned Zeus’ bolt. This time they’ll sail into the heart of the Sea of Monsters together…"
Check out this new promotional poster from Percy Jackson: Sea of Monsters, featuring Percy Jackson and Annabeth Chase. Power of Wisdom. Power of Water. 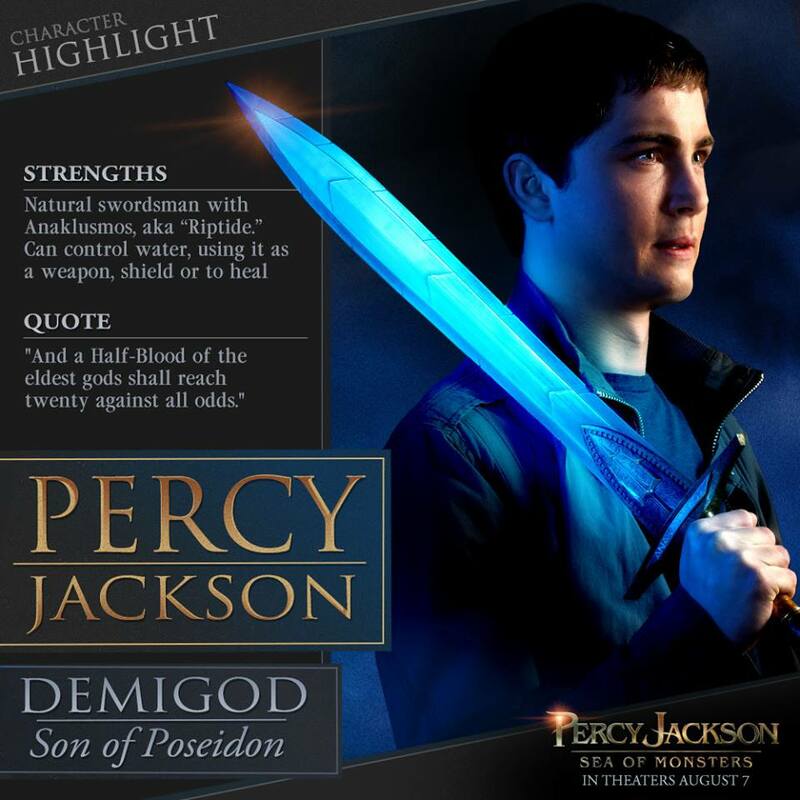 And here is another photo of Percy Jackson with description of his power and abilities. Doesn't Riptide look very much like Bilbo Baggins' Sting? Updated: Now come the monsters. 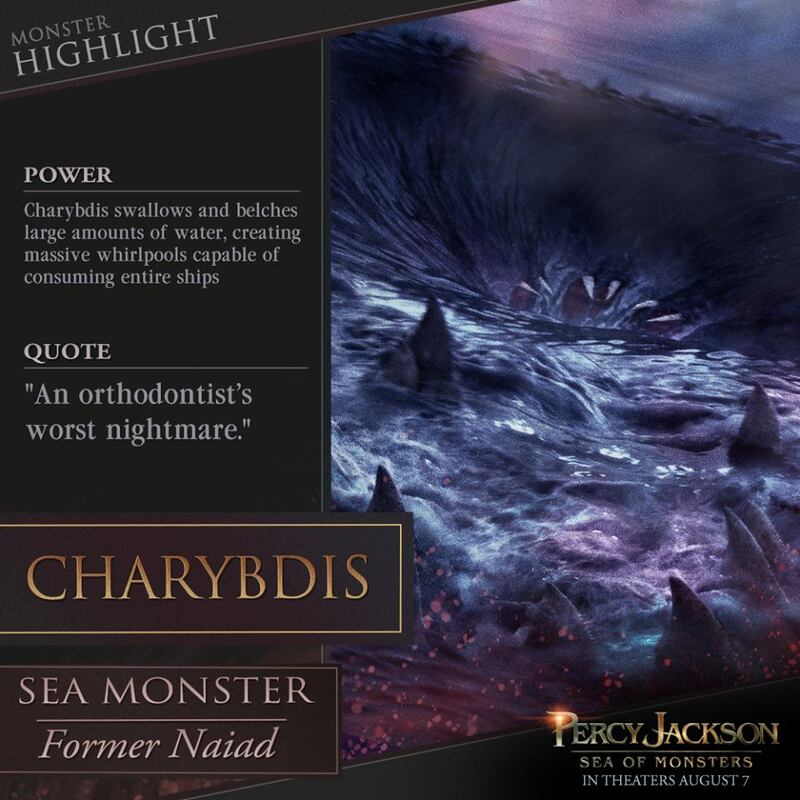 First up is Charybdis.